There are lots of ways of meeting your elimination needs – and going to the bathroom by yourself is certainly the most preferable. But what if you couldn’t? What if you had been in a car accident and couldn’t walk yet because you were too sore? 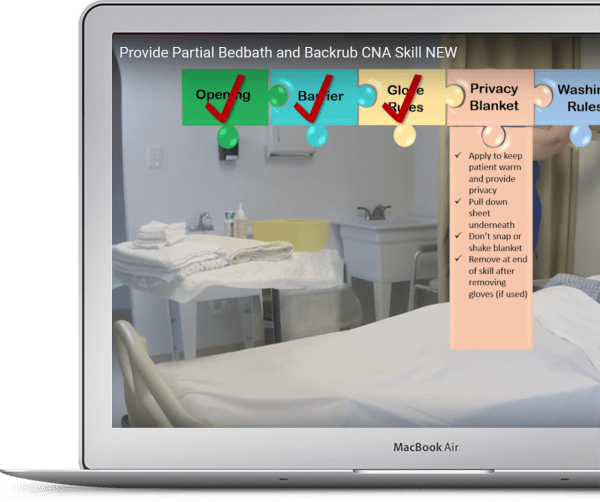 There are other options, of course, including HELPING someone to the bathroom, using a bedside commode, using a catheter, or even a bedpan. The point is….no two PATIENTS are the same, so everyone will have a toileting method specific to their needs. So, how do we know what we are supposed to do? Read the care plan! See that little red button above the video? That is the care plan for the state exam. Click on it. Go ahead, I’ll wait. You are graded on reading and following the care plan – it counts big! 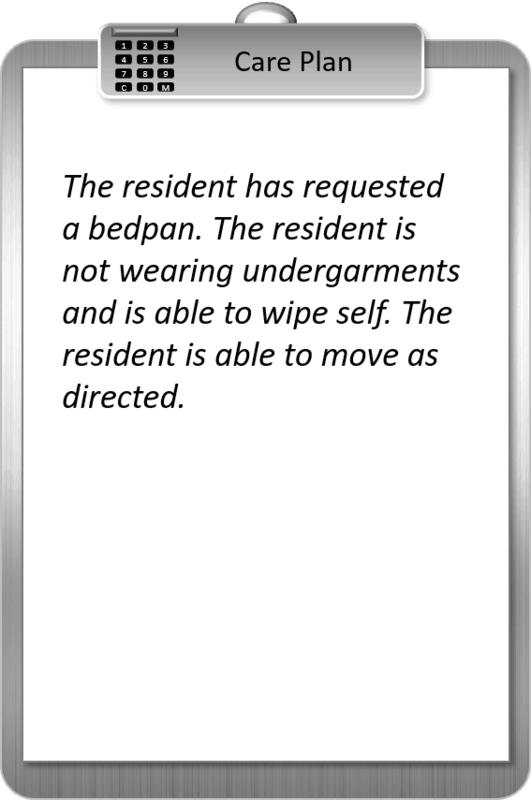 This care plan tells us that the patient has requested a bedpan, is able to move as directed and can wipe themselves AND they aren’t wearing undergarments! Easy, peasy! 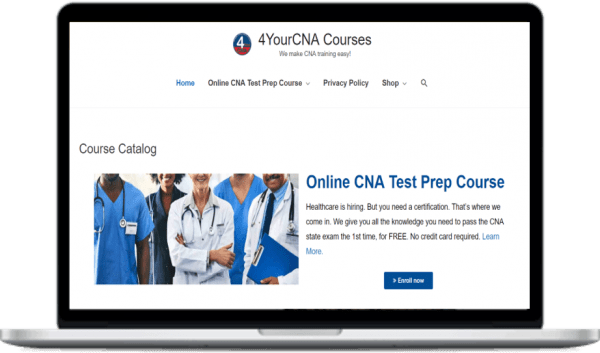 Since you – as a CNA – can’t decide what the patient needs, your job is to read and follow the care plan. So, this care plan is very specific and following it will count big for the exam. Always read and follow the care plan!